Vitamin C is an anti-oxidant that helps to repair damage to the skin caused by environmental toxins and the sun. It also helps to intensify and increase the rate of the skin’s ability to exfoliate leaving the skin with a radiant appearance and smoother texture. We use the highest and purest concentration which is best for aiding in the stimulation of collagen production. Collagen helps to diminish wrinkles, and leaves the skin looking luminous and firmer, giving an overall more youthful and radiant appearance. Vitamin C Serum by RebuildU is 98% naturally derived with 72% organic ingredients. 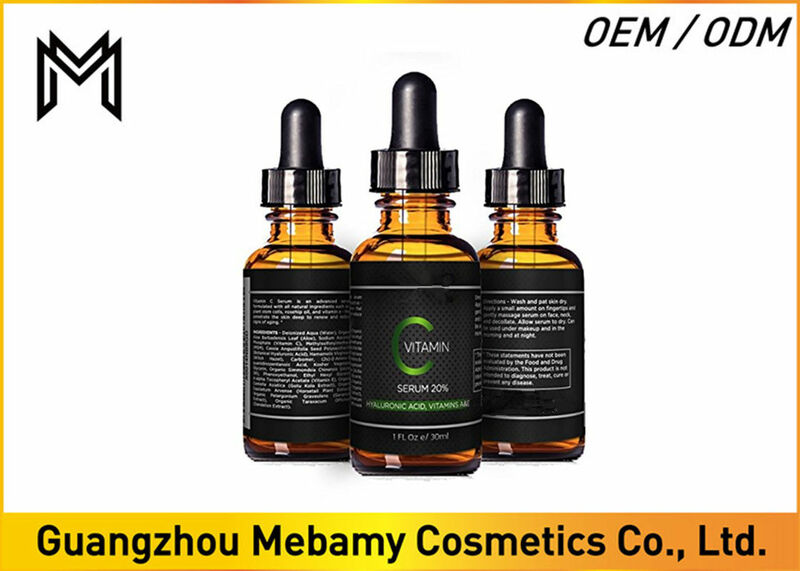 Our Vitamin C Serum is the high-quality, premium, & professional anti-aging formula, and we are dedicated and committed to quality assurance for each and every one of our valued customers. DIRECTIONS FOR USE: Apply 2 TIMES daily to clean dry skin! Use a pea sized amount and press gently into your skin in a gentl patting motion. Wait for the product to fully absorb ( 1 minute) before applying face cream. For optimal results, in your PM routine, use a lightly exfoliating cleanser before applying our serum! This speed up cellular turnover, and increases absorption!